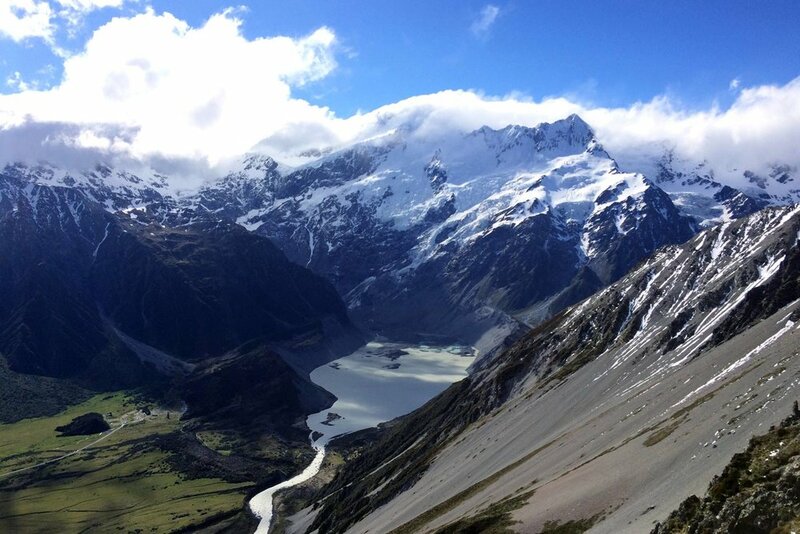 Mount Wakefield is a full-day guided hike at Mount Cook for fit walkers taking about 7-8 hours, return. 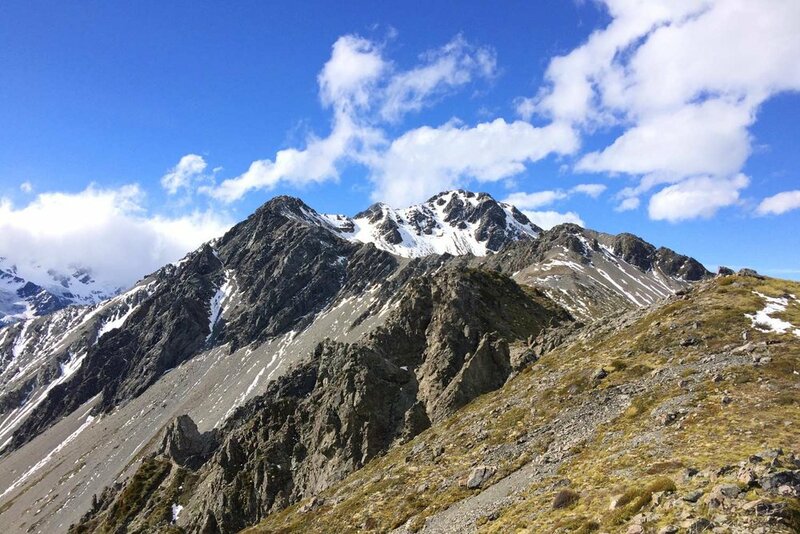 Mt Wakefield dominates the eastern skyline of Mount Cook Village and sees very few hikers, although it is probably the best day hike at Mount Cook. 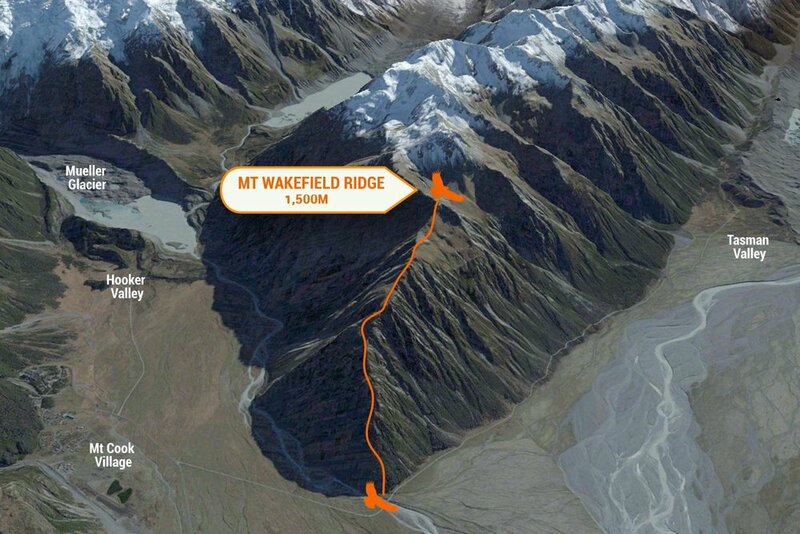 Our guided hike offers a 700-metre ascent to a scenic point above Wakefield's mighty scree fans. The climb begins steeply, under remnant beech forest, then through grassy meadows of Mt Cook Lilies and Celmissia. Our stopping point, home to NZ Falcons, gives uninterrupted views of Lake Pukaki, Tasman Glacier, and the ice-draped peaks of the Main Divide. Fit parties who move well on rough terrain may continue to one of several small ‘peaks’ between 1,800 and 2,000 metres elevation. The descent is by the same route. Previous trekking experience is essential. Our hikes involve leaving marked and formed trails, uphill and downhill travel, stepped and natural surfaces. You must have good aerobic fitness, and able to walk for at least 5 hours over the day on uneven terrain carrying a small backpack (4 to 5 kg). Departures: All Year by arrangement. Please talk to us about your preferred date. Included: Professional guide services, packed lunch, Safety Equipment. 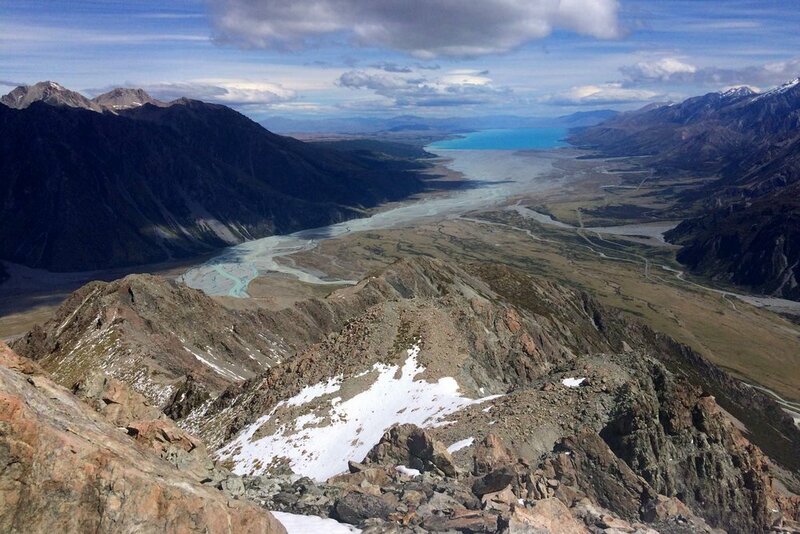 Meet at: Alpine Guides base, Mount Cook.